Since WiFi's inception, there have been countless new WiFi standards that aim to improve both our WiFi speed and WiFi coverage. In 2009, WiFi standard 802.11n (also known as WiFi 4) was released, which was the first standard to operate in both the 2.4 GHz and 5 GHz WiFi frequency bands. 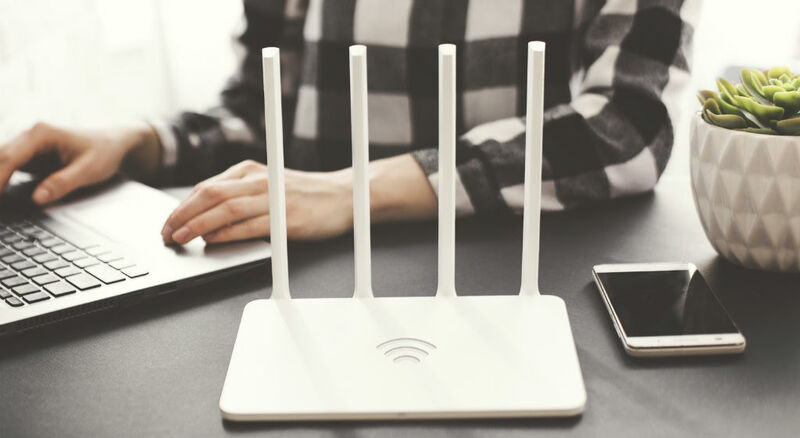 Since then, the majority of routers have made the switch from being single-band to dual-band, meaning they can choose between the two WiFi frequency bands to transmit wireless signal. So, how are these WiFi frequency bands different, and which should your wireless devices use? What are WiFi frequency bands? Before we dive in to the differences between the two WiFi frequency bands, let's talk about what frequency bands actually are. Frequency bands are ranges of radio wave frequencies used to transmit data in the wireless spectrum, and can further be broken down into WiFi channels. (The higher the frequency, the faster the data transmission and shorter the signal range.) WiFi frequency bands are frequency ranges within the wireless spectrum that are designated to carry WiFi: 2.4 GHz and 5 GHz. This article by TechTarget dives a bit deeper regarding what frequency bands are. The key takeaway here is that WiFi frequency bands are unlicensed (i.e., they do not require any special permissions to use). This is what makes them more susceptible to interference, and which is why your home network and connected devices may experience poor signal. How are 2.4 GHz WiFi and 5 GHz WiFi different? WiFi network coverage— When it comes to WiFi coverage, 2.4 GHz outshines 5 GHz. In the 2.4 GHz band, the lower frequencies that are transmitted here can more easily penetrate solid objects, meaning the signal can be better carried out throughout your home. Co-channel interference— Now we get to some of the major differences... In the 2.4 GHz band, you have the option to choose from 11 WiFi channels, where 3 of which are non-overlapping. In the 5 GHz band, you have the option to choose from 45 WiFi channels, where 23 of which are non-overlapping. Overlapping channels are what lead to network interference, so comparing the two WiFi frequency bands, we can easily see that 5 GHz provides less room for co-channel interference. It's also important to note that in the 2.4 GHz band, you aren't just receiving interference from other WiFi networks— a decent amount of network interference here comes from other household appliances that also use 2.4 GHz for signal. Device compatibility— Considering the fact that WiFi standard 802.11n (WiFi 4) has been around for nearly a decade now, the majority of our wireless technologies have been built to support both the 2.4 GHz and 5 GHz bands. But, if you have any old networking equipment or devices from pre-2009, there's a chance they may only be compatible with the 2.4 GHz band. Which WiFi frequency band is best to use? 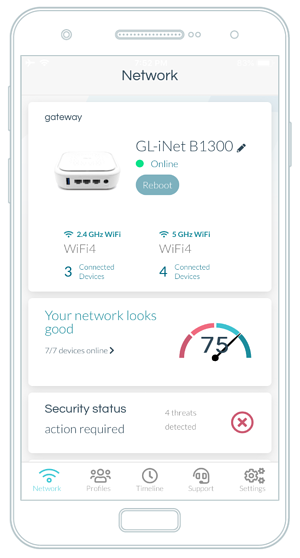 Additionally, if you own a dual-band router and use the same SSID/password for the 2.4 GHz band and the 5GHz band, client devices can automatically choose which band to use based on signal strength. Most will prefer to use the 5GHz band if within range and compatible. How do I see which band my router is using? If you are a non-Minim user, you can do this by opening your browser and typing in your router's IP address, which can be found on your router. Next, log in using your username and password (If these are still the factory set values found on your router, take a minute to change to something more secure!) Once logged in, navigate to the router settings page, where you will be able to see which WiFi frequency band your router is using. How do I switch to a different WiFi frequency band?